While entertainment industry legends Stan Lee and Dustin Hoffman looked on, the Hollywood Foreign Press Association (HFPA) last week presented California State University, Northridge $65,000 to support the university’s film students. HFPA gift included $60,000 to support senior film projects and an additional $5,000 toward a $25,000 endowment for scholarships the association set up at the university. The presentation to CSUN’s Department of Cinema and Television Arts was made during the association’s annual star-studded grants banquet, held Aug. 2 at the Beverly Wilshire Hotel. Among the celebrities at the event were Chelsea Handler, Robert Pattinson, Anthony Mackie, Chadwick Boseman, Kumail Nanjiani, Matt Bomer, Elisabeth Moss, Ava DuVernay, Katherine Langford, Dylan Minnette, Armie Hammer, Chrissy Metz, Aja Naomi King, Patrick Stewart, Mark Hamill, Kathryn Hahn, Alison Brie and Bob Odenkirk. 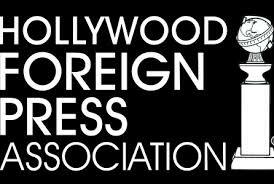 Only two years ago, HFPA gave the department $2 million to support students, including the creation of a Hollywood Foreign Press Association Scholars program, and to enhance technology. HFPA, which is made up of international journalists who report on the entertainment industry and hosts the Golden Globe Awards each year, handed out a total of $2.8 million in grants at the Aug. 2 banquet to a variety of entertainment-related and charitable organizations. The donations were for a wide range of projects, including film preservation, higher education, training and mentoring, and the promotion of cultural exchange through film. CSUN’s Department of Cinema and Television Arts, housed in the Mike Curb College of Arts, Media, and Communication, has an international reputation for producing dedicated and talented entertainment industry professionals who recognize the value of hard work as they learn and continue to perfect their crafts. The department currently enrolls nearly 1,700 undergraduate students and 30 students in its graduate screenwriting program. Its alumni work in all aspects of entertainment media, from writing, producing and directing to manning cameras and having the final say in what project is made. Earlier this year, the entertainment-industry trade magazine Variety listed CSUN as one of the top 30 film programs in the world.